Grant Recipient: The Water Council, Inc. 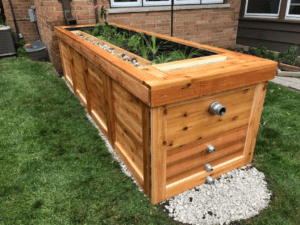 In partnership with the Milwaukee Metropolitan Sewarage District and The Water Council, the Fund is supporting a number of demonstration projects aimed at improving water quality and reducing polluted runoff in the Milwaukee area using new, cutting-edge technologies. The goal is to test and evaluate the effectiveness of these emerging “green infrastructure” technologies in real-world settings.